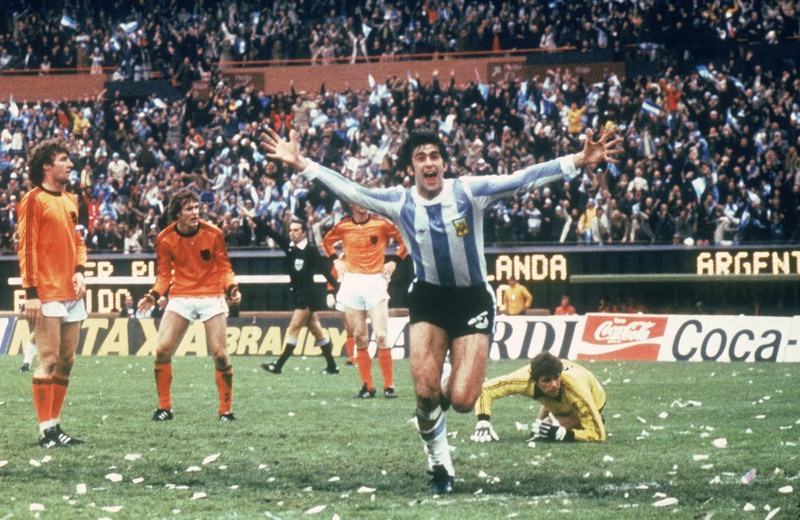 June 1978 Mario Kempes goes nuts after scoring during the 1978 World Cup Final between Argentina and Holland, held on June 25, 1978 at the River Plate Stadium, in Buenos Aires, Argentina. Argentina won 3-1 after extra-time. Kempes wasn’t the only one to ‘help’ Argentina in that tournament, if you know what I mean. It’s absolutely preposterous that they still haven’t been stripped of the ’78 title.